Seemingly Montepulciano and Volterra are among the few towns in Italy without a fountain in the town square. No fear, the book and script call for a fountain, and a fountain is currently being built! TY to Twilighters 2.0 Italia for the heads up. The infamous fountain, before Bella finally reunites with Edward. I can’t wait for New Moon, can’t it be Nov already. I am so looking forward to seeing this movie…The book is finally coming to life. That’s what we call ironic. Haha. wow im so excited that all my favorite parts of the book are in the movie!! i can hardly wait!! i have that whole day planned!! no school for me!!!! so excited for the mtv movie awards! thank god russel brand isnt there!! I can’t imagine the amount of extras thats gonna be there the day they’re gonna film that scene. it will be wicked. Girls I would like to let you know that THE SQUARE in THAT picture you just posted, it’s NOT Volterra, but it’s Montepulciano. Do a little research before posting. We did thank you very much. Note the description “Seemingly Montepulciano and Volterra are among the few towns in Italy without a fountain in the town square. No fear, the book and script call for a fountain, and a fountain is currently being built!” Several times we have covered the fact that though the book calls for a fountain neither city has one. 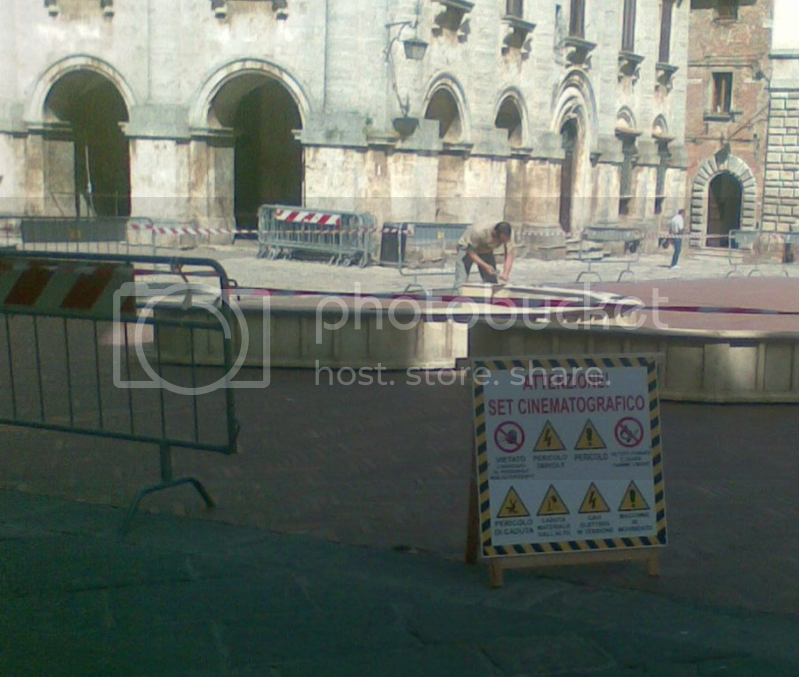 We’ve been covering the Montepulciano shooting of the Volterra scenes, the entry is tagged Montepulciano. It’s the fountain for the Volterra scene. We seriously doubt anyone made a mistake thinking we were talking about the city of Volterra, unless of course they rushed reading. Context, it’s all about reading the entire context. I think that is what the poster means….she wonders why they didn’t film in Volterra- instead of Montepulciano where they had to build a fountain. They should be able to leave the fountain… lol… which would be aweseom… cause then that could be the gift to the city… lol… oh well… Can’t wait! This is great! I’m so happy that the fountain scene will be included in the movie. volterra didn’t have a awesome square. this place had the square but no fountain. problem solved, lets build a fountain. gotta love hollywood. surprised they didn’t build a volterra on a back lot. Hi!I am Italian,i’m sorry but i don’t understand what do you say…where is building the fountain,in Montepulciano or Volterra? OMFG!!!! I can’t wait !!! this is to much for me!! I want to see the movie right now!!!!! I’m glad there making the fountain I know its kinda a small detail but I’d be sad if they left it out. lol.